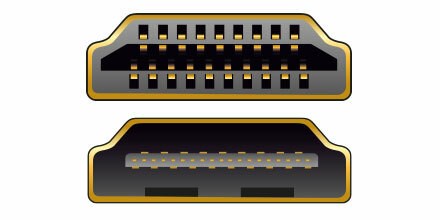 Introduced in 2003, HDMI has since become the standard interface for digital image and sound transmission, and it connects output devices with playback devices. 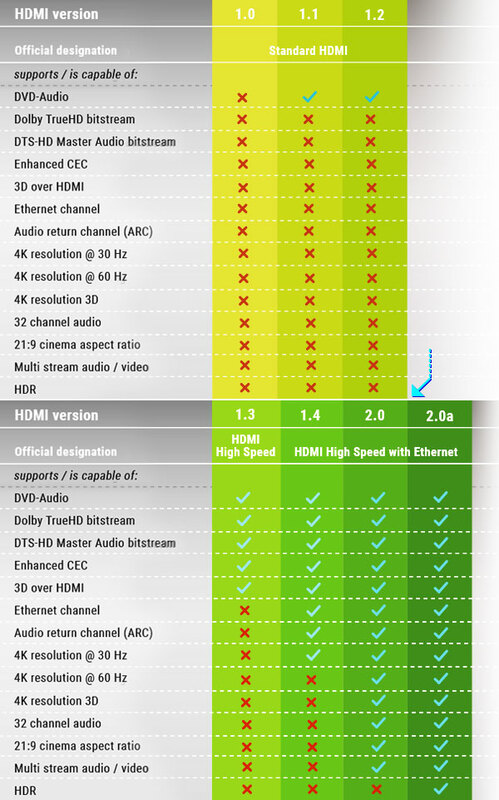 HDMI convinces with high data transfer rates that enable a problem-free forwarding of the high-resolution video and audio data and the integrated copy protection (HDCP) prevents the copying of the multimedia contents. 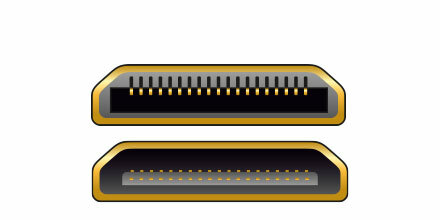 Since January 1 in 2012, HDMI products may not be marked with version numbers anymore and only differ based on various specifications. 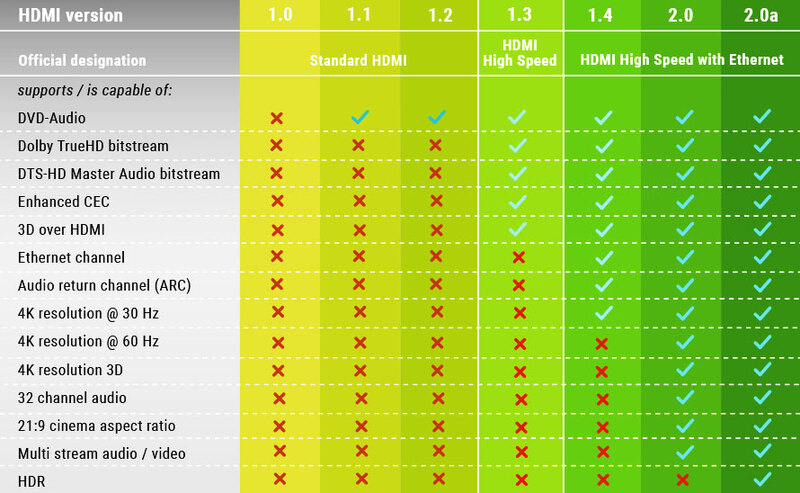 The HDMI Organization has set the following designations: Standard HDMI, Standard HDMI with Ethernet (must have an additional channel for Ethernet), High Speed HDMI (must support HD Audio, Full HD 3D resolution und 10.2 Gbps)), High Speed HDMI with Ethernet (must have a channel for Ethernet). 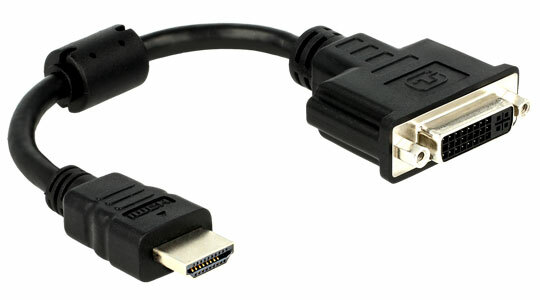 Using special cables, it is possible to connect various HDMI devices with each other, e.g. a TV set and a PC. 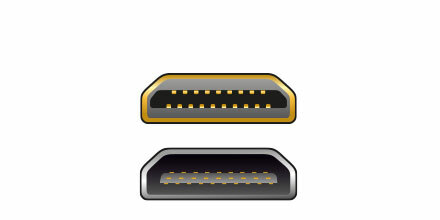 The general rule here is: The longer the HDMI cable, the more important the shielding. This has the purpose of preventing signal interference due to power cables routed in the vicinity. Cable shielding is possible in several ways. Examples are mesh shielding and foil shielding, plugs with metallic sheaths and contacts with gold plating. The diameter of the copper wire is also important. The unit of measurement here is called AWG (American Wire Gauge), which indicates the diameter of the wire: A lower value indicates a higher diameter (thus, an AWG of 0000 indicates a diameter of 11.68 mm; an AWG of 36 corresponds to 0.127 mm). 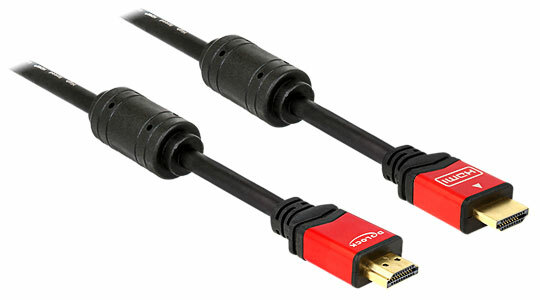 HDMI is a further development from DVI and works with the same transfer protocol. 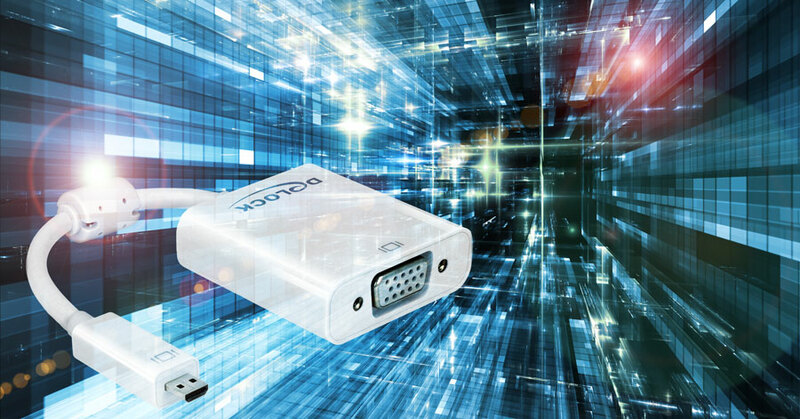 This means that the interfaces are compatible and can easily be adapted. 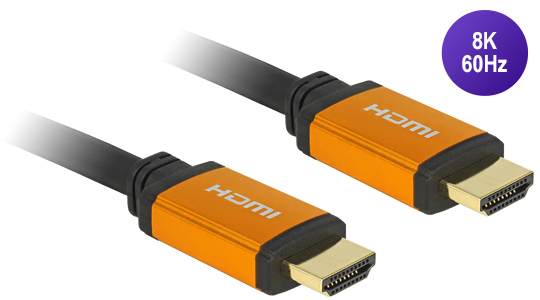 Since not every monitor or TV set has an HDMI connection, there are various HDMI adapters that enable the use of non-HDMI-compliant devices *1. 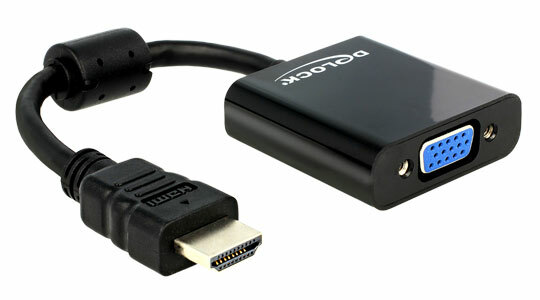 *1 Enabling the use of devices without HDMI capability is only one aspect of the HDMI adapters. 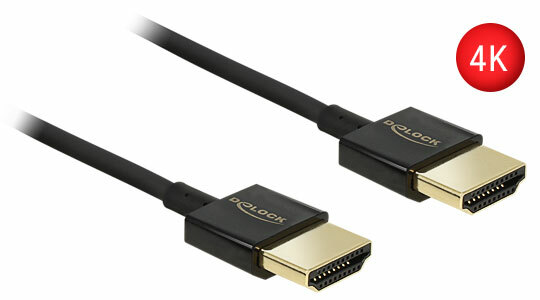 Besides that, there are a number of application areas and possible applications covered by Delock with its HDMI adapter product range.